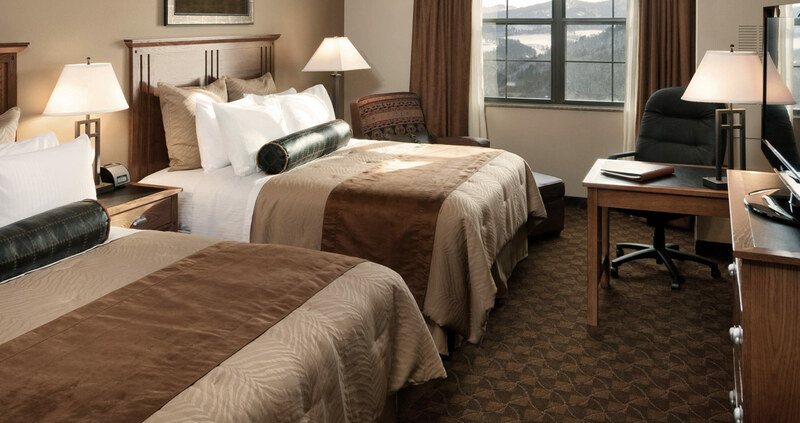 Experience the refreshing, modern style and genuine service of the DoubleTree by Hilton Deadwood at Cadillac Jack’s hotel and casino, located steps away from historic Main Street in the heart of Black Hills’ most popular attractions. Enjoy a diverse selection of appetizers, entrees and micro-brews at one of our four on-site restaurants. Stop for a cup of Starbuck’s® coffee at the coffee shop. Earl of Sandwich offers deli-style subs, sandwiches and wraps. Visit our casino bar for beer, wine and mixed drinks. Grab a snack, sandwich and other fresh selections at Made Market. Enjoy a mouth watering steak from Flyt Steakhouse or a secret recipe Margarita from Guadalajara’s Mexican Restaurant. Marco’s Pizza brings the flavor of Italy with delivery, pickup or dine in options featuring pizza, sandwiches, wings and more! PET POLICY: Pet Friendly–Refer to the POLICIES section for more detailed information. Or ask your server for your favorite bottle! *Available on Friday and Saturday Only.